Delivering the highest specs for the most demanding user. 680 graphics card that supports up to four monitors. The ROG TYTAN CG8890 Desktop PC is powered by the liquid cooled Intel® Core™ i7-3960X processor with Turbo Gear enabling 6-core CPU instant overclocking to reach a maximum speed of 3.8 GHz, while graphics look stunning on the NVIDIA® GeForce® GTX 690 graphics card that supports up to four monitors. Space-saving, sleek and compact desktop solution. The ASUS ET2220 sports a unique space-saving photo frame-inspired design, with a frameless 21.5” FHD LED-backlit display that can be tilted from 16° to 45° to give users an ergonomic viewing position. Its smart and elegant design gives it a silver stand that can also be used as a carrying handle, and also features an intricately-designed speaker mesh. This elegant 21.5” All-in-One PC features a frameless 10-point capacitive touch display, SonicMaster audio technology, USB 3.0, HDMI connectivity and VESA mount compatibility. The ET2701 features built in SonicMaster technology optimized by audio experts — it features a finely-tuned digital signal processor that produces every note in pristine clarity with near-zero distortion. Also onboard is DTS Surround Sensation UltraPC™ ll audio technology, which delivers the most realistic, three-dimensional sensation of being completely surrounded by sound. 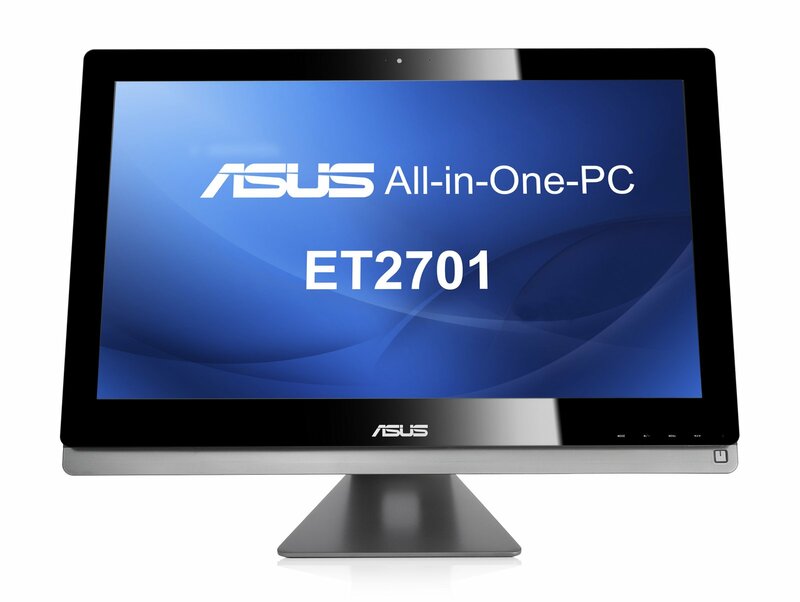 The ET2701 comes with an external subwoofer with a 580cc resonance chamber dedicated to low-range frequency audio signals that provides a rich bass response never before heard in ASUS AiO PCs. The keyboards are not detachable. TAICHI — an incredible fusion of notebook and tablet. Its unique dual-screen design features two 11.6” Full HD screens for unparalleled mobile flexibility. Lid open, TAICHI is a fully featured ultra-portable notebook with keyboard, multi-touch touchpad and SSD storage; lid closed, it’s a sleek and powerful multi-touch tablet for intuitive fingertip control with Windows 8. ZENBOOK™ Touch is the upgrade to the award-winning slim line design with a beautiful spun-metal finish and impressive specifications with 3rd generation Intel® Core™ processors. Brilliant full HD 13.3” screen and now with capacitive multi-touch for Windows 8, thus enhancing users’ multimedia experience. The more affordable laptop range, the ASUS X202 and S400 will be priced at S$799 and S$1,098 respectively. Between 24 October and 4 November, customers who purchase the VivoBook S400 will receive a free Canon inkjet printer (worth S$79). Promotion is only valid between 24 October and 4 November. While stocks last. Functions both as a laptop and a tablet. The ASUS Transformer Book combines the best features of a notebook and tablet. Together with the keyboard, the Transformer Book is a powerful and fully featured notebook with a high-capacity hard drive. When detached, the full high-definition 13-inch IPS panel display instantly becomes a multi-touch Windows 8 tablet with its own blazingly fast SSD storage. With slim, light designs and optional lightweight keyboards, ASUS VivoTab offers a perfect balance of portability and productivity. With a resilient metallic finish and high-definition multi-touch 11.6” displays, the VivoTab with Windows 8 Pro features Super IPS+ technology for a brilliant image with wide viewing angle of 178°. Keyboard dock with built-in battery for up to 19 hours of mobile use on the VivoTab. It also includes a Wacom stylus for high-precision input. ASUS VivoTab™ RT with Windows RT and Office Home & Student 2013 RT Preview has a 10.1” Super IPS+ display and is powered by an NVIDIA® Tegra® 3 quad-core processor, yet measures just 8.3mm thin and weighs a mere 525g. VivoTab Smart is the thinnest and lightest tablet with full Windows 8 experience for mainstream users and is available in stylish black or white. Its optional smart keyboard cover combines a compact wireless keyboard with colour-coordinated screen protection. Kudos to ASUS for their aggressive launch strategy. ASUS has been the top 3 best-selling computer brand for several regions. 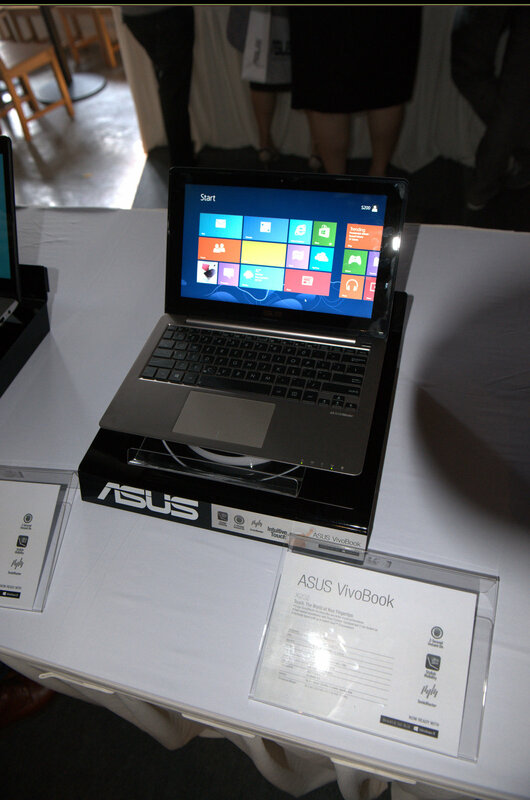 With Window 8 and all these new products that will be gradually released over the next few months, ASUS aims to be the top best-selling brand for 2013.